Englishmania - When one teaches, two learn. 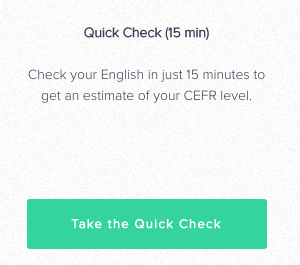 Our goal is to make English proficiency testing not only reliable, but also affordable, simple to use, and always accessible. Whether your dream is to get a university degree, find an international job, or start a new life abroad, as an English learner, you are often asked for proof of your English skills. Unfortunately, providing this proof is not always easy. 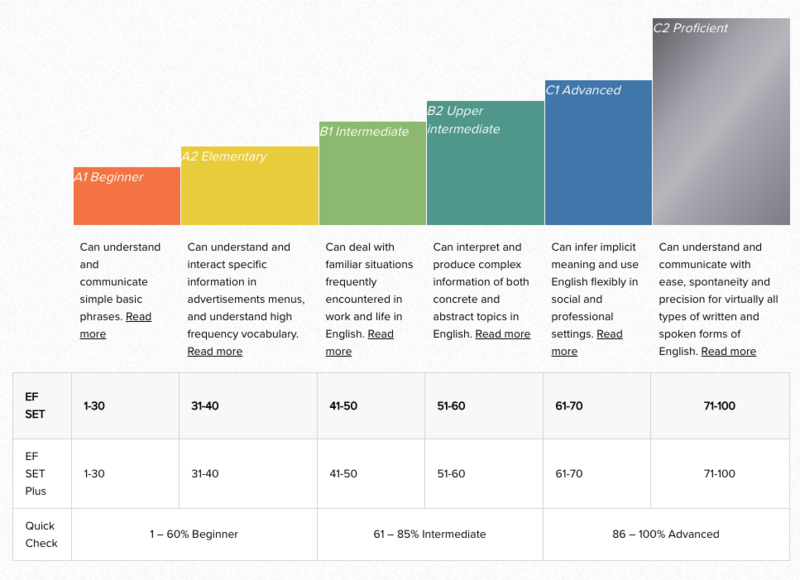 English tests like TOEFL or IELTS, although technically robust, can be expensive, require administration, and are not always offered when you need it most. 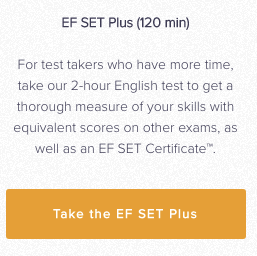 With the EF Standard English Test (EF SET), we set out to challenge the status quo – to build the world’s first completely free online standardized English test for learners of all levels, from beginner to advanced. As the world leader in international education, the mission of EF Education First is to open the world through education – and, EF SET is just one of many innovations that will help us realize this. 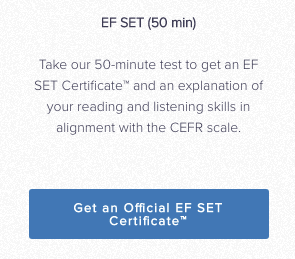 With completion of your Quick Check or EF SET, you will receive an EF SET score on a scale from 0 to 100, as aligned to the Common European Framework of Reference (CEFR). Our score scale is internationally recognized - making it easy for you to share your results and prove your English learning achievements!